Facebook is the home of unmatchable content throughout every topics running out in the world. The photos and the videos found in Facebook aren’t just funny but they are impeccable. We can easily download photos but when its comes to downloading videos, there is no feature in Facebook App to download videos. 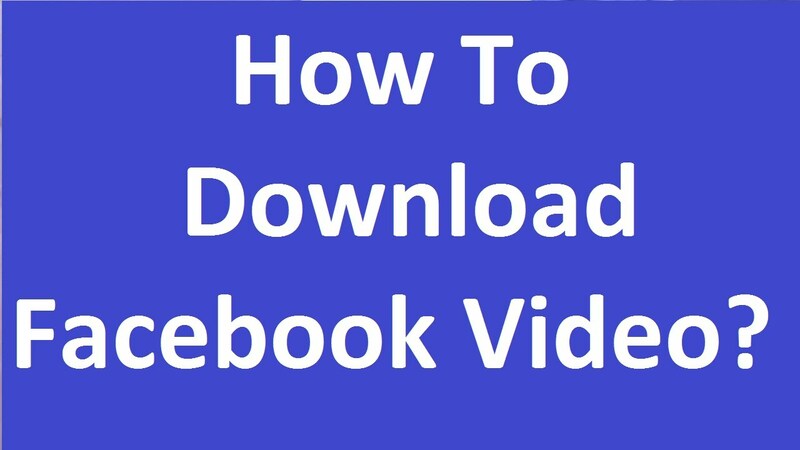 Here, in this post I’ve mentioned a col trick from which you able to download Facebook videos very easily without any hassle and can store it in whichever folder you like in PC or smartphone. Highly Recommended – Combine Multiple Internet Connections on Android Device. Below are the steps you need to follow to download Facebook videos. 1. While using Facebook App click on the video which you want to download and play it. 2. When the video starts to play just go into the URL bar and replace the WWW with m and hit enter. 3. Now this will open the same video in mobile view. 4. Now again play the video. 5. When the video starts to play simply right click on the video and click on save video as and save it to your desired location. 6. That’s it you’re done. Now you would be easily able to download Facebook videos. This was the simplest 6 step guide to download Facebook videos. Hope you like it. So, hence was the post to download Facebook videos. I hope you like the post. Feel free to comment your reviews in the comment box.